The application deadline for Nordic students is April 28th, 2014. Magma degassing is a fundamental issue of modern volcanology, with important implications for magma rheology and, thus, for eruption mechanisms. The environmental impact of volcanism, and the global geochemical cycle of volatile elements are largely controlled by their degassing behaviour. Despite significant advances over the past decades, some major aspects of magma degassing remain poorly understood, including the time scales of degassing processes, the role of gas transfers in triggering major volcanic eruptions, and the importance of kinetic factors in controlling the fractionation of volatile elements and bubble nucleation and growth. Comparison of atmospheric mass loading estimated from the eruption products versus remote sensing is still in its infancy. Transferring the current knowledge to future generations is needed for better understanding of volcanic gases, their formation, emission to the atmosphere and environmental effects can, in part, be accomplished via a summer school. 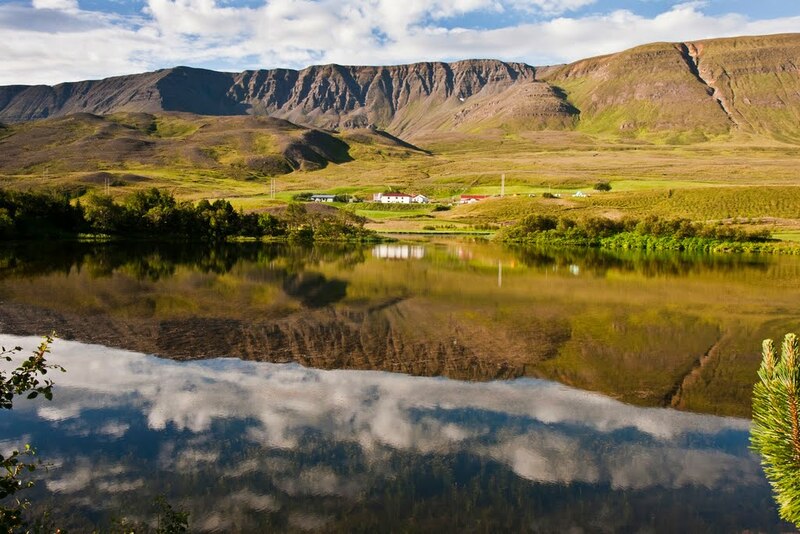 This NordVulk/MeMoVolc summer school will be hosted at Stóru-Tjarnir, mid-way between the town of Akureyri and Krafla Volcano in North Iceland. The school will present and discuss key issues such as volatile solubility in magmas, experimental and natural constraints, excesses of volatiles, bubble formation and degassing mechanisms, in-situ and remote gas measurements, satellite remote sensing and environmental impacts. The school will also include a half-day field trip on Krafla volcano and associated geothermal field. The school will be in English. In order to favour discussion and interaction, students will be asked to submit a short abstract and to prepare a poster on their specific research activity related to the school theme. 1 July - Coach from Reykjavik to Stóru-Tjarnir, between Akureyri and Krafla volcano. Each teacher will give an overview of their field of speciality and prepare excercise(s) for the students to solve in small groups. Students will present their current research on posters during the afternoon and/or evening sessions. There are 30 places available in total, which will be divided between students from MeMoVolc contributing states and students from Nordic countries. Applications will be assessed by the MeMoVolc Steering Committee and NordVulk staff. Priorities will be given to PhD students or equivalent, post-docs, and young researchers working on the scientific themes related to the school main topic. Several places will be reserved for participants working in close relationship with volcanic observatories. The MeMoVolc consortium as well as NordForsk support the summer school and will cover accommodation and meals for the 6 days of the course, as well as contribute towards travel expenses. The deadline for applications from Nordic students is April 28, 2014. Applicants will receive a decision within a week following the deadline.